The above image was kindly taken and donated by Neil Piccione. Located in Hamilton, in the heartland of New Zealand, we offer you a warm welcome. Our mission: To worship and work with God in the world. Our vision: A bridge to the city … where love and friendship meet. Take a look around our website. Email us, or come along to our services. We are a people to belong to, and your contribution will be welcomed. For additional details, see our Church Services page. 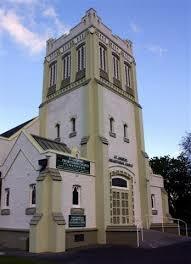 The website of the Presbyterian Church of Aotearoa New Zealand can be found HERE. Click the logo and then ‘like us’ on Facebook.